The focus on adults with brain injuries, particularly athletes in contact sports, can obscure another category of trauma – brain injury in newborns. Many things can go wrong in pregnancy or during labor and delivery. One of the worst injuries an infant can suffer is a brain injury, and no matter how it occurs, the effects can be devastating and irreversible. These complications can lead to cognitive or developmental delays as the child grows, as well as conditions like cerebral palsy. 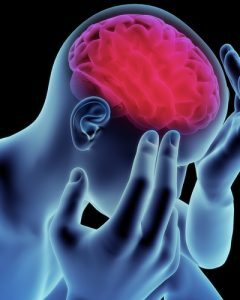 A brain injury can occur in several ways during delivery and birth, though most often it is caused by head trauma, oxygen deprivation, and, far too regularly, carelessness. Excessive force: Whether the infant is in the correct position to exit the womb or not, excessive force – such as twisting or pulling – or improper extraction from the birth canal can cause head trauma which can lead to brain damage. Misuse of equipment: If an infant is large, incorrectly positioned, or in distress, a medical professional may misuse equipment like forceps or vacuums and cause head trauma. Rushed delivery: Improper or rushed delivery – with or without the use of birthing equipment – can damage a baby’s soft head, resulting in a head or brain injury. Oxygen deprivation: Lack of oxygen flow to the infant’s brain during birth can cause brain cells to die, and they cannot be restored. Oxygen deprivation can occur when the umbilical cord is pinched, restricting blood flow to the child’s brain. A poorly timed or improperly performed c-section can block the flow of oxygen. A mother in distress can lead to fetal distress and restrict oxygen flow. Birth asphyxia can lead to lifelong disabilities like learning disabilities, cognitive disorders, and speech and language delays. Can Brain Injuries at Birth Be Prevented? During Pregnancy: Prenatal visits to the obstetrician are frequent, and there should be a multitude of tests that expectant mothers are given to identify whether they have a high-risk pregnancy. Any pregnancy that presents a danger to the mother or baby my require bed rest, special medications, or a planned c-section. Complications that are discovered, diagnosed, and treated during pregnancy can help prevent neonatal brain injuries. The size or positioning of the infant, as well as the health of the mother, should be properly monitored before, during, and after birth. Unfortunately, substandard medical care along the way can spell certain doom for an infant and their family. During Labor and Delivery: Neonatal brain injuries can be caused by head trauma that includes skull fractures, intracranial hemorrhages, and hypoxic-ischemic encephalopathy. Expectant parents may easily assume their child will be delivered perfectly, but doctors and nurses are present at delivery to ensure that birth goes smoothly. Without careful monitoring and attention to complications, birth could go very wrong. Traumatic impact of any kind during delivery can cause a lifelong brain injury. After Birth: Once a baby is born, it may seem as though you have reached the all-clear. The baby is fine and thriving. However, any child that must be monitored in the neonatal intensive care unit, or any infant that develops a complication shortly after birth is at risk of greater injury without the proper care. Permanent brain damage could occur from medical mistakes such as overventilation, NICU errors, mismanaged jaundice, meningitis, poorly managed infection, and fetal stroke. Brain injuries are serious. Children who suffer brain injuries may be prevented from having a normal life, whether they are mentally or physically challenged or both. These lifelong consequences affect the child’s family as well, and brain injuries can create a need for special schooling, constant care, and ongoing medical care. If your newborn suffered a brain injury at birth, medical malpractice may be to blame. If you believe that you were the victim of negligence, poor medical attention, or carelessness, call Thurswell Law for a free consultation. We have extensive experience with brain injury cases, and our knowledgeable attorneys will give you the best chance to receive full compensation for your suffering. No fees unless you collect. Call us at (248) 354-2222 to schedule your free consultation.